Though lesser known, the developer Wazdan has been creating games for the better part of 10 years from their base in the island of Malta. Part of their stated mission and vision is to share their passion and experience with you, the player. To that effect, they have created almost 100 games including slots, table games and video poker. They offer a variety of slot themes from classic fruit, magic, sports, horror, mythology, cars, Tetris, ancient civilisations, adventure and other. These slots are all unbranded so you'll not find licensed themes from Hollywood studios or other. In addition to slots, they do offer table games that include Blackjack, video poker and Roulette though these are very limited. The games are available on pc, tablet and mobile and compatible with iOS, Android and Windows Phone. They are recipients of the Hot Hit Award 2018 at G2E ASIA and Excellence Awards 2018 at MIGEA Malta IGAMING. being recipient of awards from recognized gaming bodies. they are not as familiar to players as some of the other developers meaning their games may be more difficult to find. 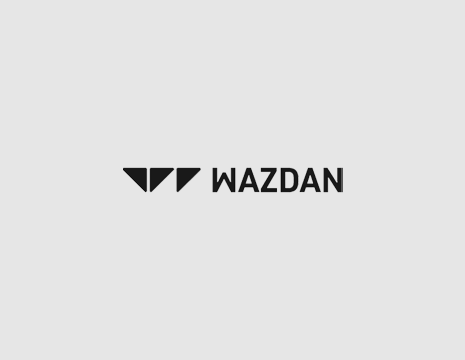 Wazdan is licensed and regulated by the Malta Gaming Authority, the UK Gambling Commission and the Government of Curaçao. Their software undergoes testing for fairness of the random number generator (RNG) by the third party company Nmi.